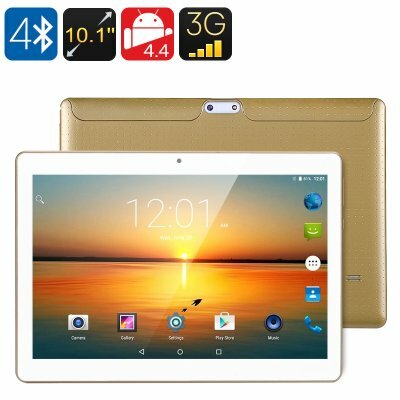 Successfully Added 10.1 Inch 3G Tablet - Quad Core CPU, Android OS, OTG, Dual SIM, HD IPS Display, 4500mAh Battery, Google Play (Gold) to your Shopping Cart. A quad-core CPU, 1GB of RAM and Android OS deliver a smooth and intuitive user experience. There are 16GB of internal storage that can be expanded by the micro SD card slot so there is plenty of room for all your needs. a 13MP interpolated rear camera lets you snap respectable photos while a front-facing camera allows for video calls and conferencing. Thanks to the 4500mAh battery you'll get 3 hours of talk time or up to 60 hours on standby which should be more than enough for those commutes or keeping entertained of long trips.